On Saturday I had friends from the East Bay visiting. After a docent-led walk through the Acacia Grove in the UC Davis Arboretum, I took them to see the aloe plantings outside the Botanical Conservatory. 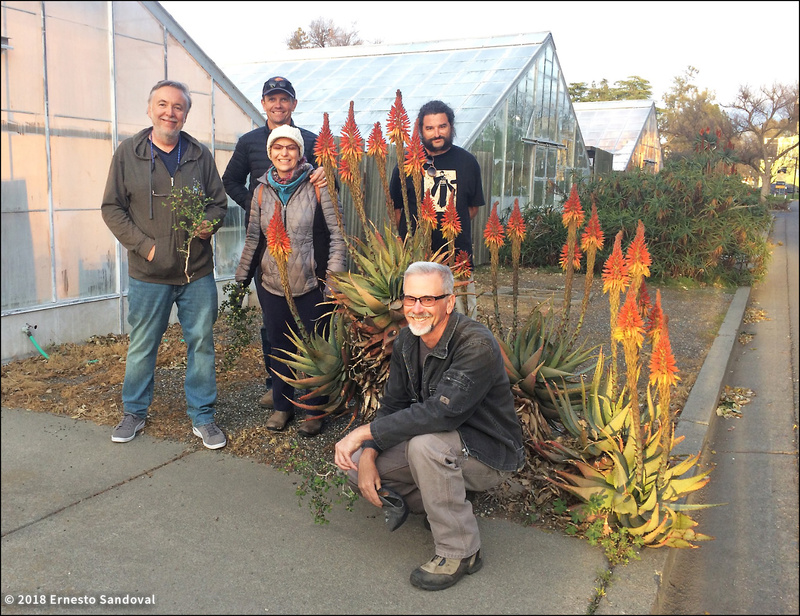 Through a stroke of luck we ran into Ernesto Sandoval, manager and curator of the Botanical Conservatory. 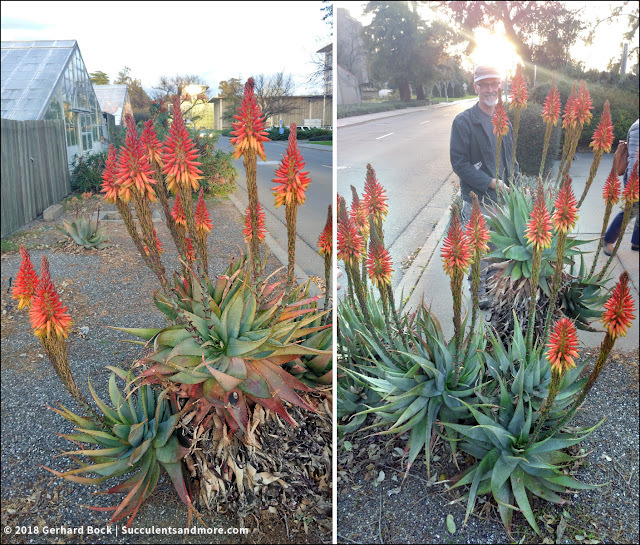 Ernesto is one of the most enthusiastic and generous plant people you'll ever meet, and he not only gave us a tour of the collections but also walked around with us outside to talk about the aloe plantings and the nearby Cycad Garden. Unfortunately, my camera battery died along the way so I didn't take as many photos as I normally would. But here are some good ones for all you succulent die-hards. 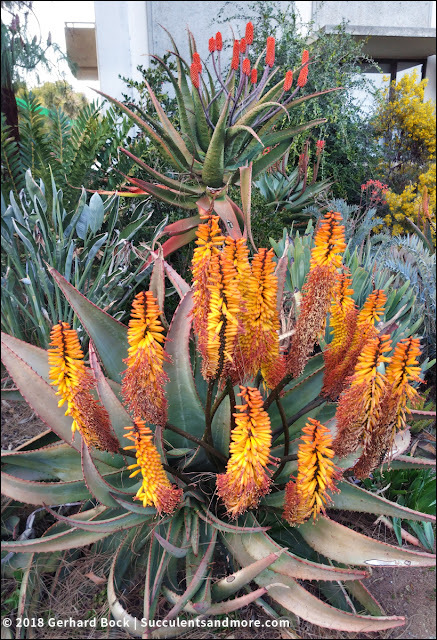 Aloidendron pillansii, the largest South African tree aloe. 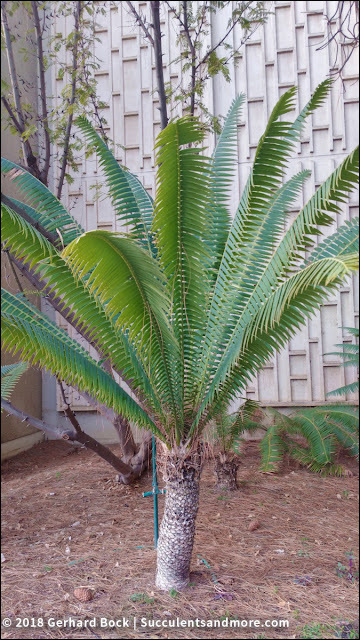 Rarely seen in cultivation; it has a reputation for being difficult to keep alive. 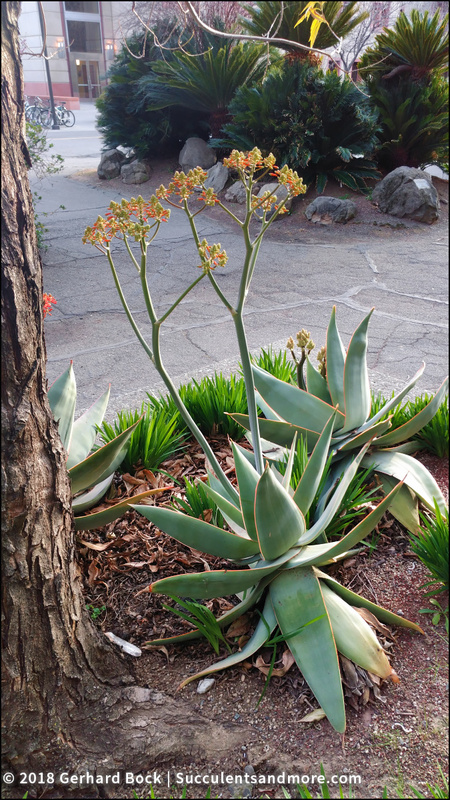 Aloe namibensis, the first time I've ever seen one. 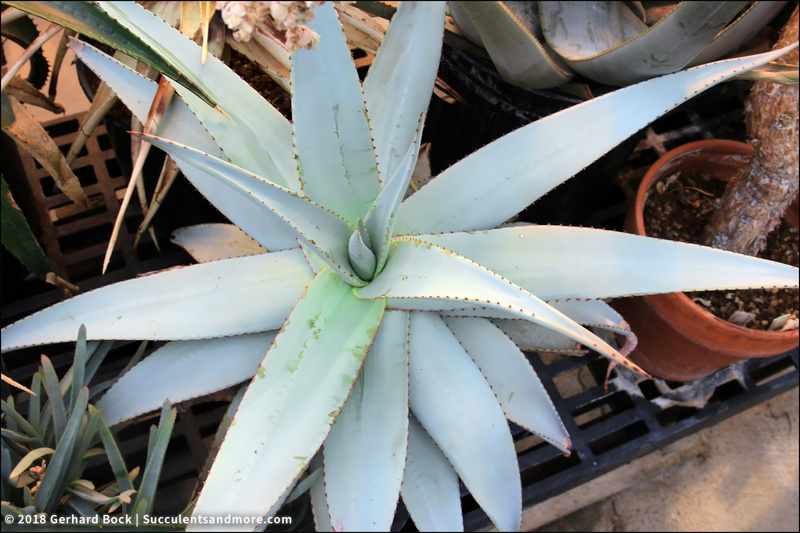 Very heat-tolerant but also prone to rot if exposed to too much water (incl. 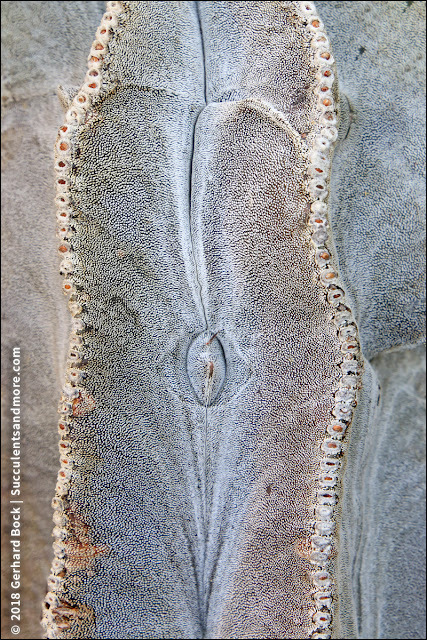 natural rainfall). Aloe ortholopha from the Great Dyke mountain range in Zimbabwe where it grows on serpentine soils. Some people say this makes it difficult to grow in regular soil, others say it grows well in cultivation. I will give it a try once I find one. 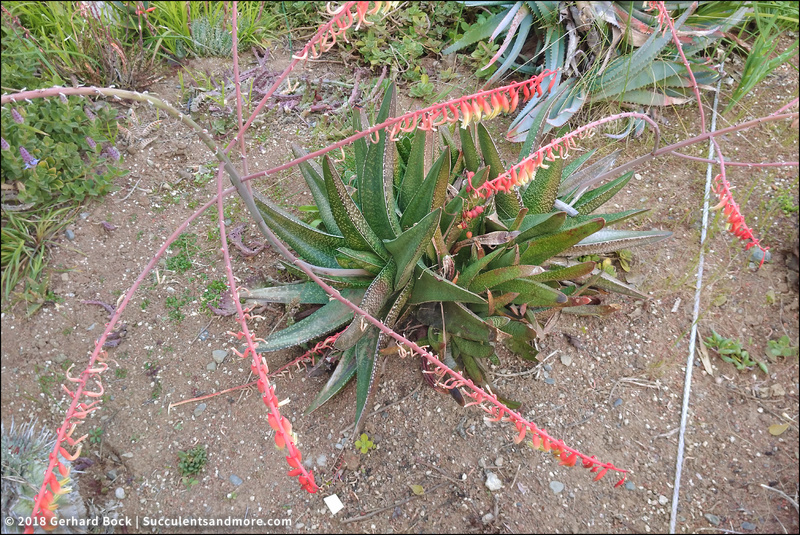 This is a very uncommon aloe—I have no idea why, considering how beautiful it is. 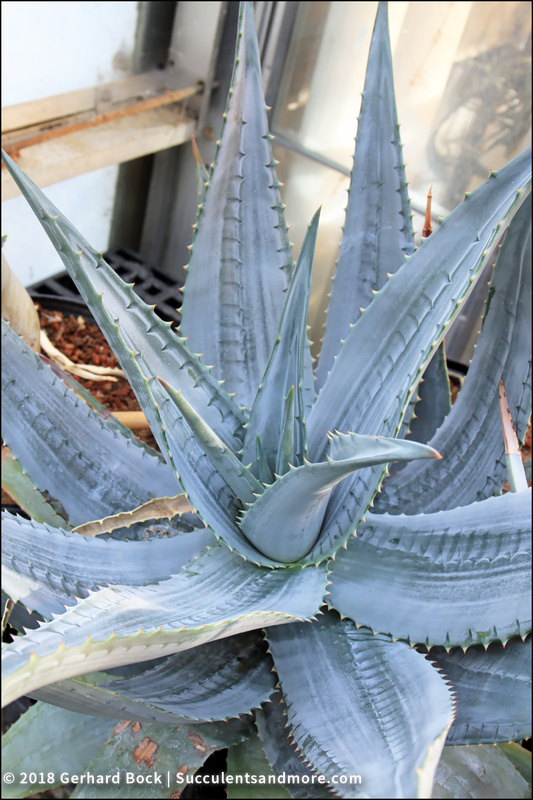 It's officially my new aloe crush! 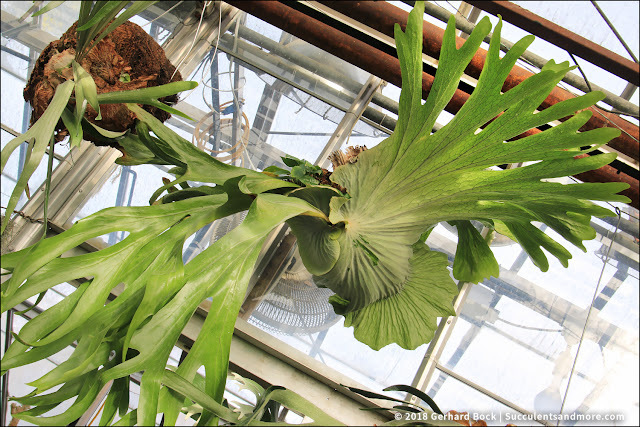 Staghorn fern (Platycerium sp.). 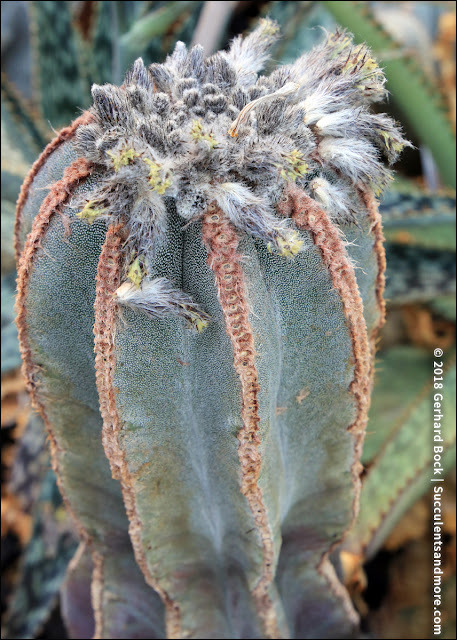 Ernesto said a student grew this specimen from a spore (!) about 14 years ago. One of the oddest plants they grow at the Botanical Conservatory is Welwitschia mirabilis. I tried one once but I killed it through underwatering. 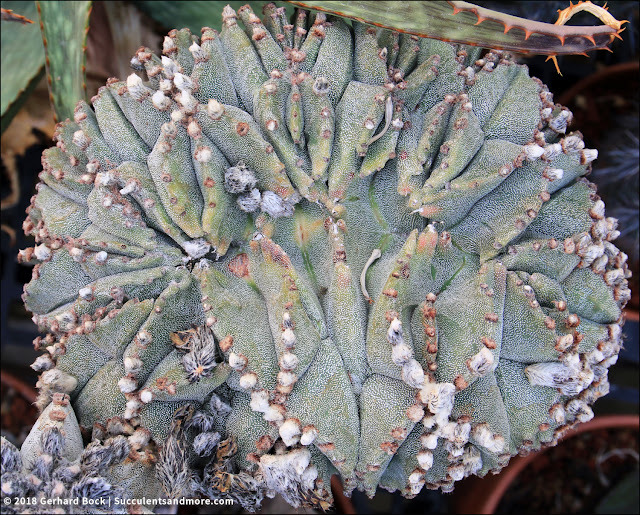 It's not a succulent even though it grows in one of the most inhospitable places on earth. Check out the size of this Mexican grass tree (Dasylirion longissimum)! Gasteria acinacifolia, one of the largest gasterias and one of the best for outdoor landscaping. It produces tall flower stalks, as you can see in this photo. 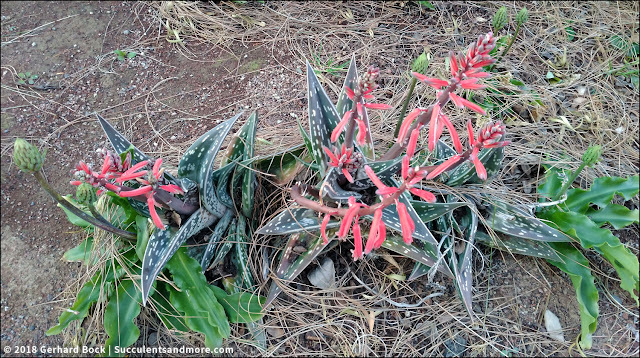 Partridge breast aloe (previously Aloe variegata, now Gonialoe variegata). For an explanation of all the recent changes to aloe taxonomy, read this post. ...and has been lying on the ground since then. But that hasn't stopped it from flowering, quite to the contrary! 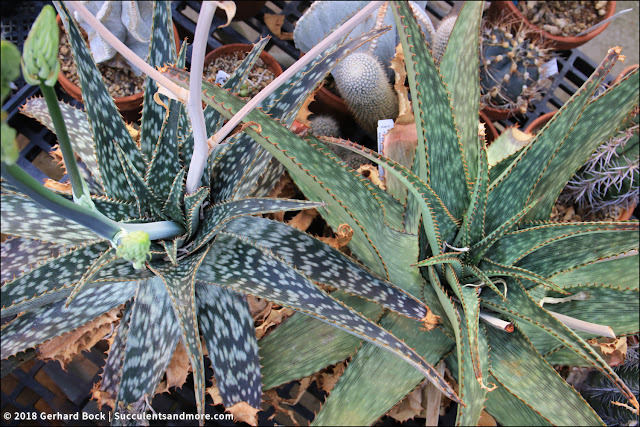 Aloe microstigma outside the Botanical Conservatory greenhouses. 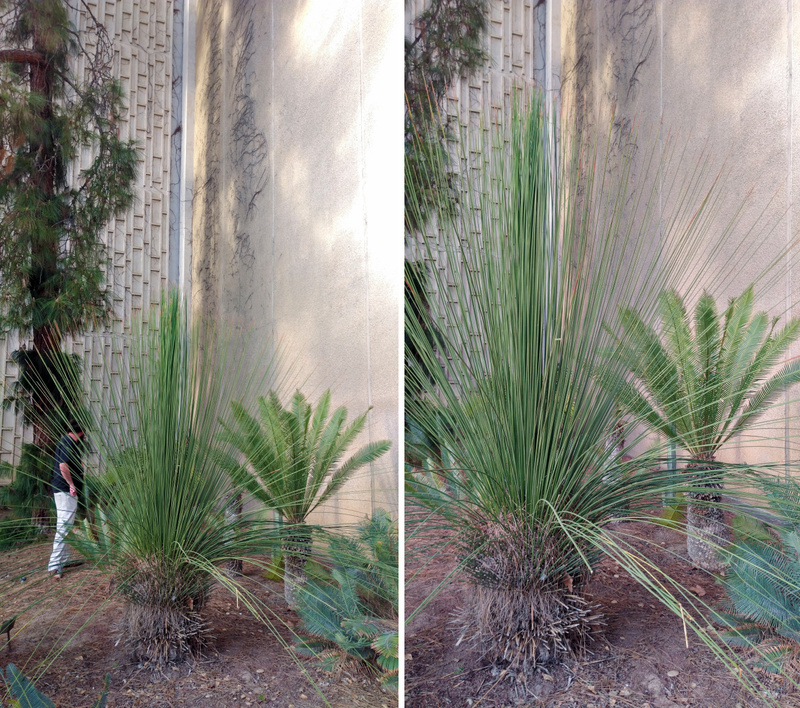 Check out how tall they are (Brian for scale). These aloes grow in native clay soil and are never watered. Group shot courtesy of Ernesto Sandoval. From left to right: yours truly; Troy McGregor, former nursery manager at the Ruth Bancroft Garden and now a landscape designer and installer with this own business, and his wife Vicki; Ryan Penn, horticulturist at the Ruth Bancroft Garden and nursery manager at Markham Nature Park and Arboretum; and Brian Pyle, volunteer at the Ruth Bancroft Garden. Great photos, that was really great running into Ernesto, and being able to get inside the greenhouses. 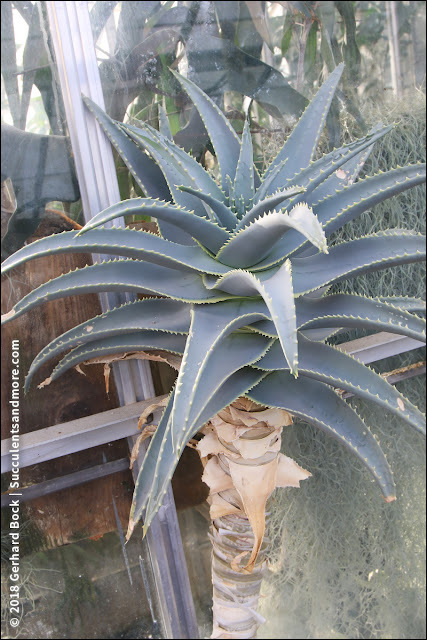 I’d love to try Aloe ortholopha also...where was it growing? 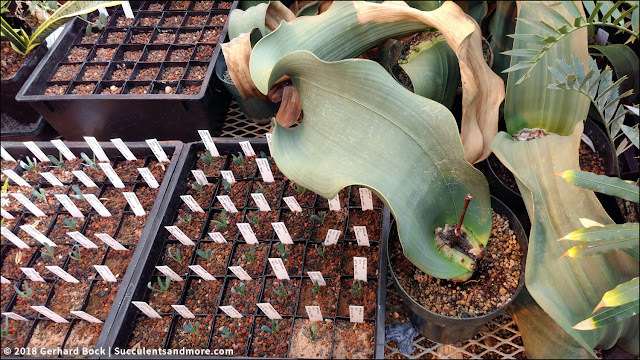 There were two Aloe ortholopha in the greenhouse (the first room we went into on the left). 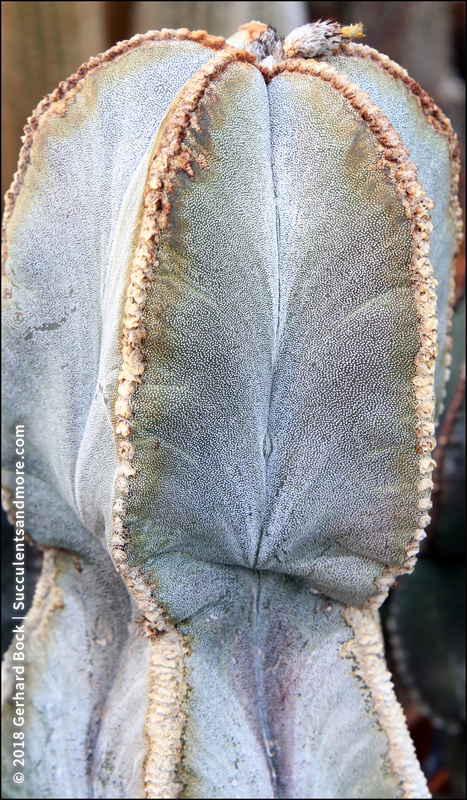 The third one was in the outside area with all the other potted succulents and cactus. What a great unplanned tour you got! 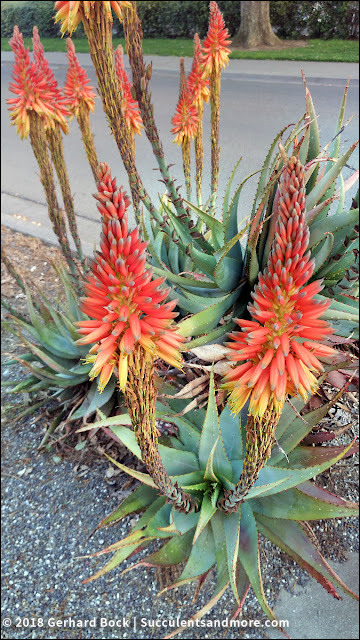 Aloe ortholopha is indeed gorgeous. 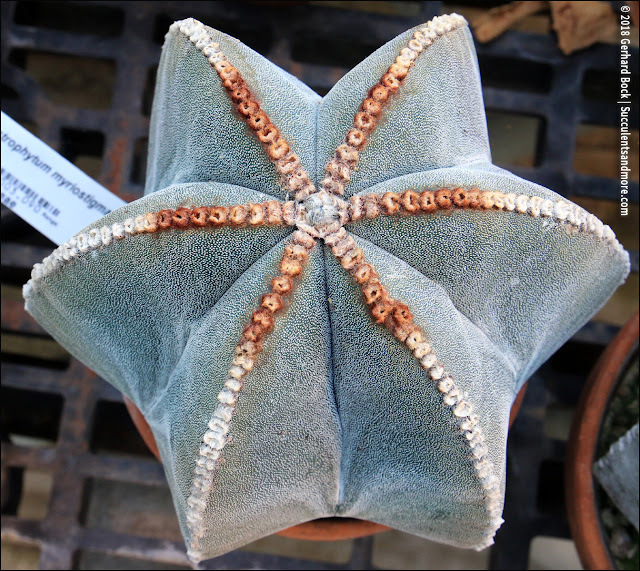 If you manage to find one and propagate it, you could probably fund your retirement plan entirely with sales of its progeny. 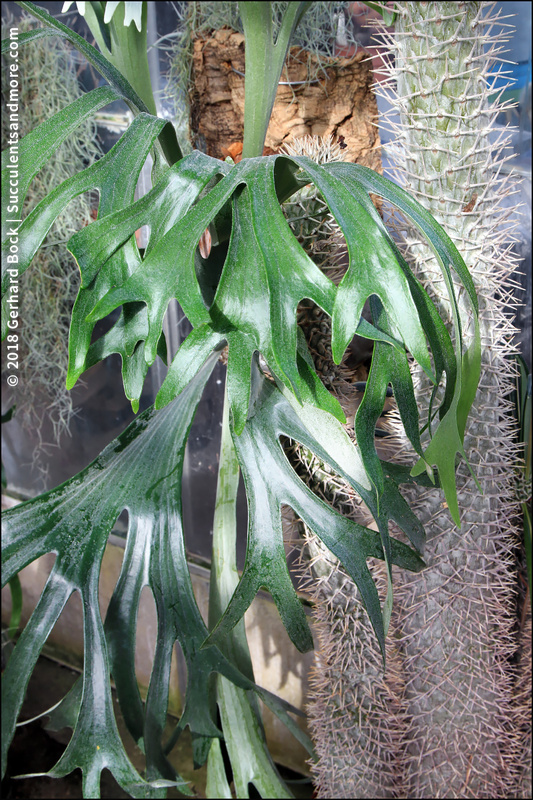 That Euphorbia misera, another plant entirely new to me, is also fabulous, as is the silvery-leaved staghorn fern. Unexpected surprises (pleasant ones!) are one of life's greatest joys, aren't they? 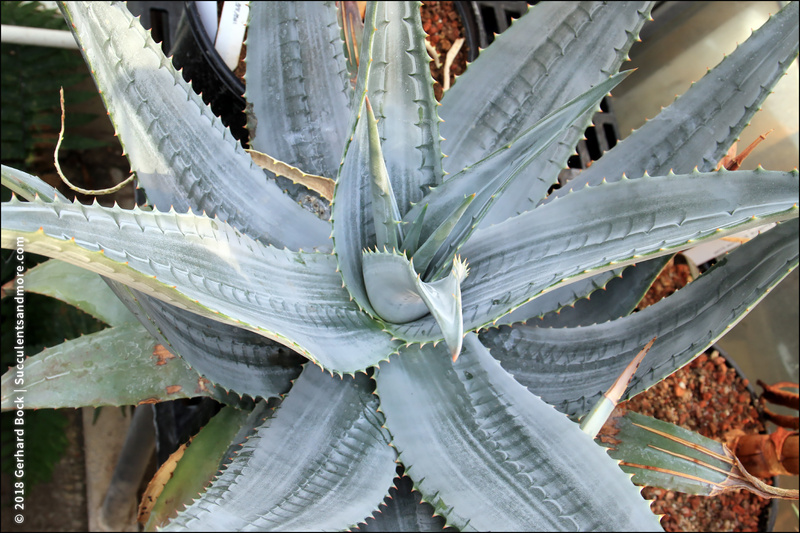 Love your new aloe crush! How nice that you got a guided tour! Ernesto is AWESOME. Always so generous with his time and knowledge. What a fun day and great company! And yes, Aloe ortholopha....wowsa! Oh ortholopha, where have you been all my life! yesss to ortholopha and namibensis too, wonderfully pale aloes. And what a nice looking crew! You're inspiring me. Think I'll head out to the Ruth Bancroft to see some these ASAP. 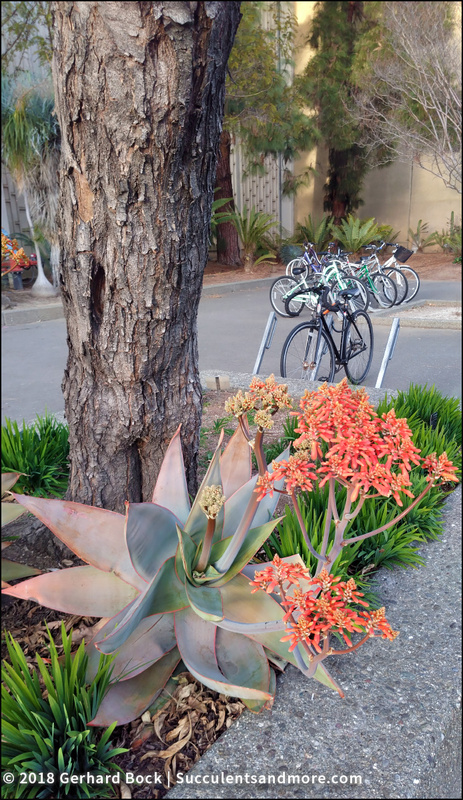 The Ruth Bancroft Garden is an aloe wonderland at this time of year. YOU GOT IT!!! That's exactly what I thought! 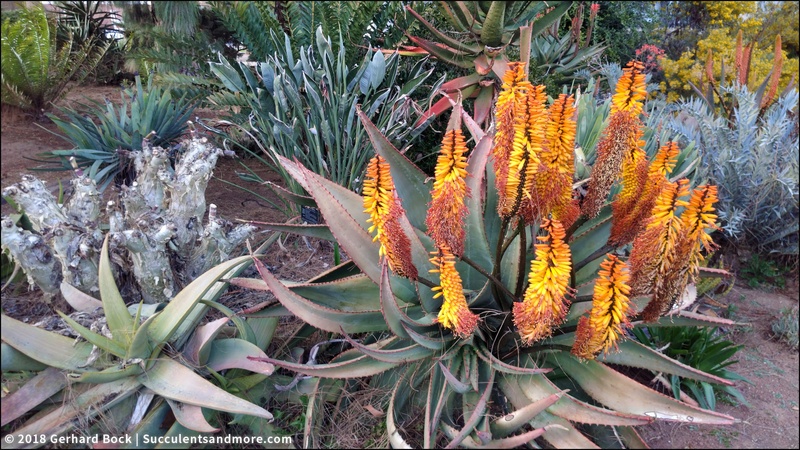 Amazing Aloes! 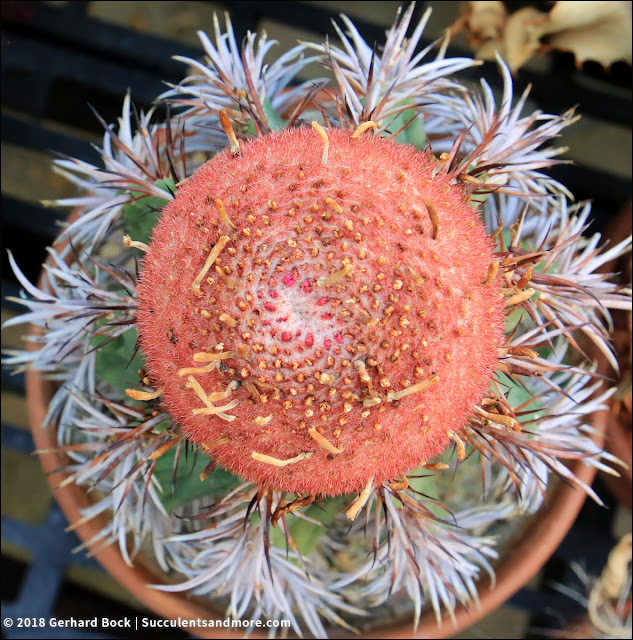 Please keep me in mind as well if you want someone to tag along on a weekend for the UC Davis gardens as I have never been!!! 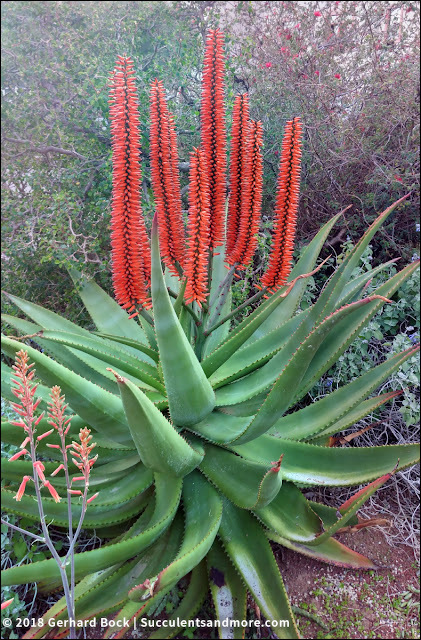 Our aloes are finally flowering—and how! Ruth Bancroft Garden: aloe there!